C’mon, it’s game time! Lace up those Air Jordan sneakers and grab your favorite Looney Tunes character in the Funko Pop Space Jam set. The initial release includes several main figures along with a chase variant. A cartoon classic of the '90s, many likely know the tale. Intergalactic minions, known as the Nerdlucks, attempt to kidnap the Looney Tunes gang for their boss, Mr. Swackhammer, to help boost sales at his amusement park. Knowing the Tunes out-size them, Bugs Bunny challenges the aliens to a game of basketball. Cartoon magic ensues with the minions stealing the talent from actual NBA stars. 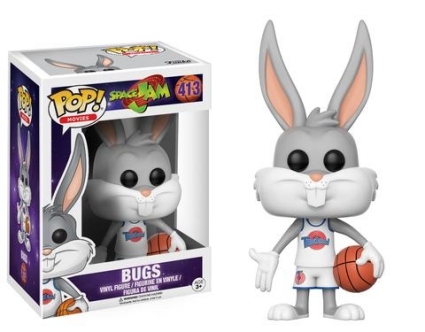 Meanwhile, Bugs Bunny captures the great Michael Jordan through a wormhole and kids everywhere rejoice, making Space Jam a surprise box office hit. Shop for Space Jam DVD/Blu-Ray options on Amazon. 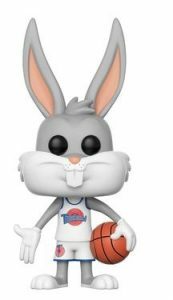 Bugs Bunny leads the lineup for Funko Pop Space Jam wearing the classic Tune Squad uniform and holding a basketball. 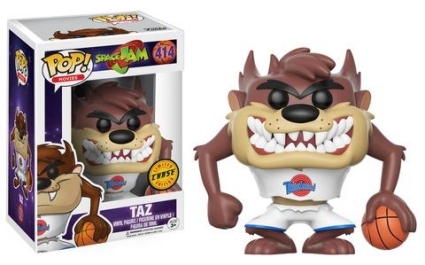 Appearing in his “calm” state, Taz has a ripped jersey and pants, while a limited chase variant can also be found. 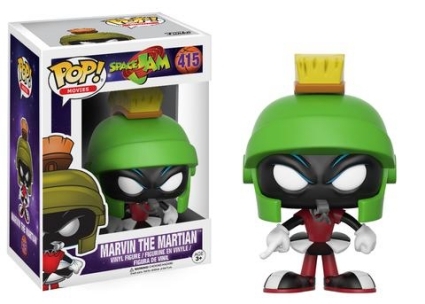 Although most of the figures appear to be the standard Pop! 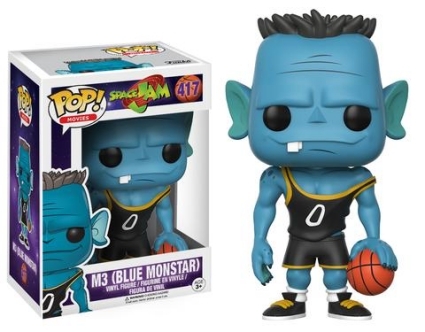 size (3 3/4”), Marvin the Martian, dressed in referee gear including a whistle in his mouth, naturally looks slightly shorter, while the Blue Monstar seems a bit taller. Finally, the greedy amusement park owner Swackhammer is dressed in a dark purple suit with flip-flops showcasing his green-toned skin. 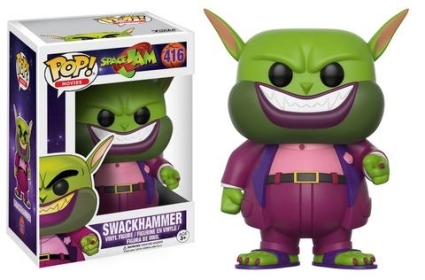 The Funko Pop Space Jam vinyl figures are part of the Pop! Movies line which is reflected in their numbering. Click on image or listing to shop for figures on Amazon or eBay. 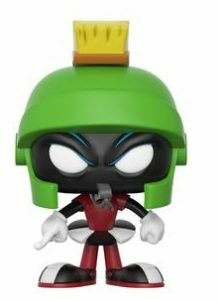 Funko Pop Dorbz Looney Tunes Bugs Bunny & Yosemite Sam HT SDCC 2700 SOLD OUT!